Probably the best young big in Europe. Already competitive in Adriatic League. 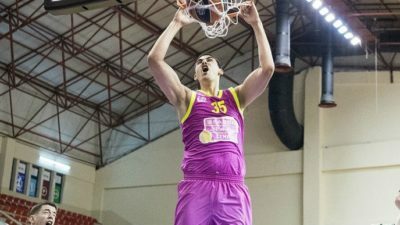 Has the chance to play for Beobasket agency-owned Mega Bemax, where used to play Jokic, Zubac or Luwawu Cabarrot and all is done to get him exposure him to the NBA scouts. Good size at 6-11 with a 7-2 wingspan. Always active, pretty good rebounder and shot blocker, skills which should translate to the League. Tries to attack the rim everytime he can. Good shooting touch which could help him develop a reliable face up game. All the tools to succeed and a lot of room to improve in every field of the game. Still naive on defense, foul prone with almost 4 fouls per game in 22min. Has to learn the nuances of the game.